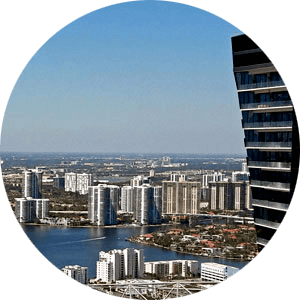 See available Echo Aventura condos for sale. Echo Aventura features luxury waterfront residences and expansive views. Luxury living in Echo Aventura condo. Echo Aventura condo, the last 5-acre lot on the waterfront in Aventura Florida transformed into a tropical oasis by Carlos Ott and Yabu Pushelberg. Echo Aventura has set new standards for cutting-edge living experience, sophisticated remarkable design, and stunning interior. Welcome to real luxury at 3250 NE 188 Street in Aventura. Spacious residences luxury amenities with full-service complex and open floor plan modern residences set Echo Aventura condos for sale apart from the rest of new construction in the area. Please Contact Us or give us a CALL 786-505-4786 if you have a question on the Echo Aventura condos for sale or would like to schedule a showing. Condos for sale in Echo Aventura are delivered furniture ready that means that everything is painted and floors are finished with your selection. Smart home technology in Echo Aventura condominium, amenities, and services like no other is what sets condos at Echo apart from the rest. Some of these exclusive services include pet walking for all residents, complimentary breakfast served daily, 24-hour valet and much more. 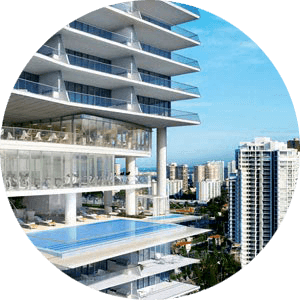 Echo Aventura condos offer a choice of 2 to 5 bedroom units and 18 top floor Luxury Penthouses each with a private rooftop terrace and plunge pool. Flows through residences with two terraces include smart building technology and Apple home technology for smartphone access. Enjoying Miami’s outdoor living is easy and fun from your private terrace, with outdoor kitchen amenities. Echo Aventura condos for sale are areas most technologically advanced residences. With units ranging from 1500 to over 4000 square feet in size and each condo at Echo Aventura is delivered furniture ready, you do get a lot for your investment. With flow-through floor plans Aventura Echo condos you get a front row seat to waterfront views. Living in South Florida means living outside, and Echo’s Pool Club creates the ultimate outdoor experience. Spend your day lounging, drinking and eating all without leaving your home environment. With the introduction of the ECHO MARINA PACKAGE, boating and yachting enthusiasts can bask in the unequaled pleasures of the ultimate on-the-water experience. Steps away from your luxury residence, a full-service, fully-equipped marina awaits. Looking for the most luxurious condo in Aventura just got easier, welcome to Echo Aventura Condo. Give us a call 786-505-4786 and one of our agents will be happy to assist you with your search for luxury waterfront condos in Aventura. And if by any chance you think that it is not for you, will help you find a better place that suits your needs.